Mile 26: See story below. Mile 26: Doug and Tom, the owner of Bill Wahl’s Ice Cream Microcreamery (see story below). 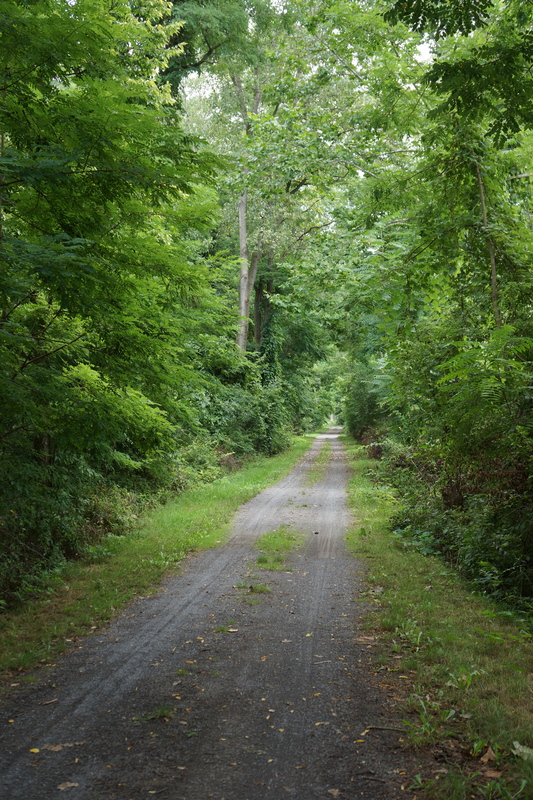 Relatively short day – 57 miles, nearly all of the riding being on the Erie Canalway Trail. Much of the scenery was similar to what we had seen on the trail earlier. On today’s section of the Erie Canal we saw many more homes, private boats and rowers, and commercial establishments, particularly around the Rochester area (which unfortunately also had a lot of graffiti – something we had not seen earlier). Today ended our biking on the Erie Canalway Trail (we covered 95 miles). One town the Erie Canal passed through that was particularly pretty and upscale was Pittsford. Doug and I had an exceptional experience in Pittsford. 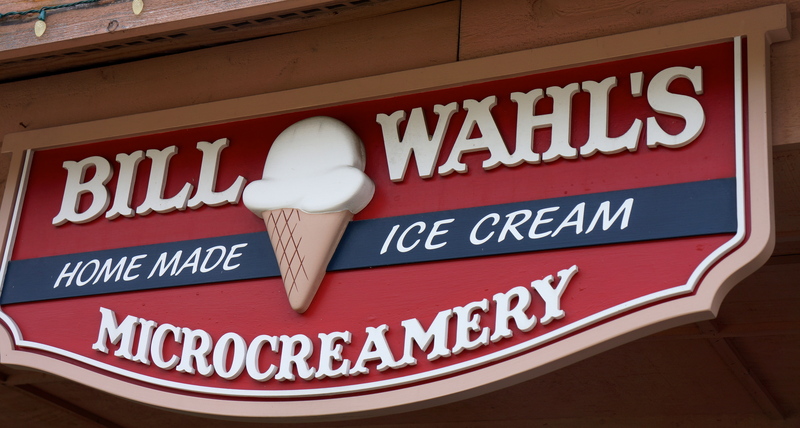 As Doug, Robert, Jim, and I were biking through an area of upscale stores (including an exceptional bike shop) and restaurants in Pittsford, I noticed the Bill Wahl’s Ice Cream Microcreamery on the bike path. We stopped in front of it and I joked about the use of the term “Microcreamery” Cream to the others. Robert and Jim continued to ride, but Doug wanted to try the ice cream. Not being adverse to trying the ice cream myself, I joined Doug and went to the store’s front door. Unfortunately, the store didn’t open until noon and it was only 10:30 am (still not too early to try microcreamery ice cream in my opinion). Dejected, we started to leave, when a man we had not noticed who was sitting on the porch outside the store, spoke to us and said he was the owner. Tom graciously offered to open the store for us, which Doug and I readily accepted. With two scoops each, we pulled out our cash to pay but Tom refused to accept payment. The three of us sat on the porch and spoke for an hour about Tom’s background, the history of this ice cream store (it burnt down in 2002 and was rebuild in its current form about the time he bought it), the ice cream business, and education. We found many connections (e.g. Tom graduated from Villanova and lived for a while in Doug’s home town). We also found out that the term “microcreamery” has a legal definition which Tom discovered as he was crafting the business. It is restricted to an ice cream business that 1) manufactures its own ice cream and 2) produces no more than 60 gallons per day. It was a nice way to spend an hour in a beautiful setting on the Erie Canal. By the way – my cinnamon and caramel delight ice cream scoops were delicious. 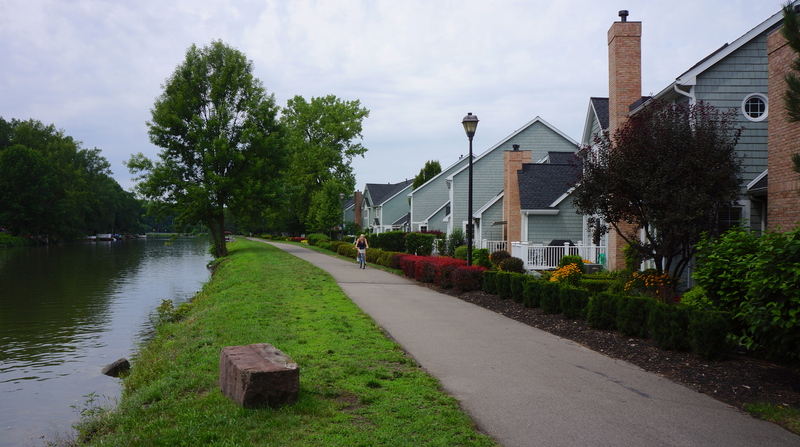 Mile 3: The Erie Canalway Trail near Brockport, NY. 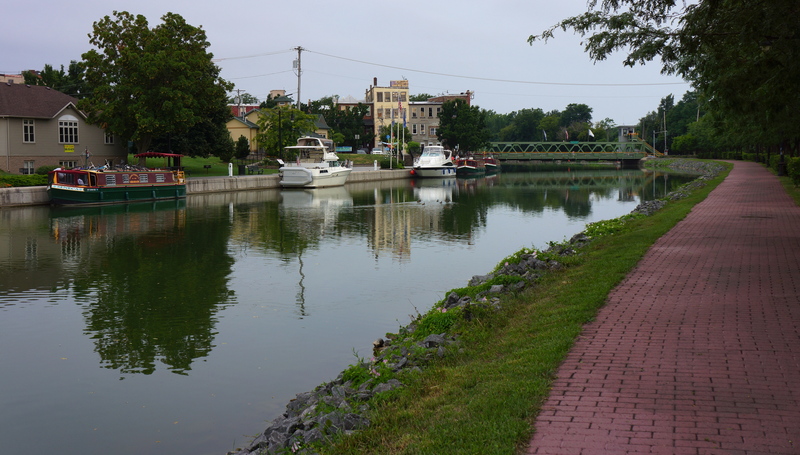 Mile 11: The Erie Canal near Spencerport, NY. 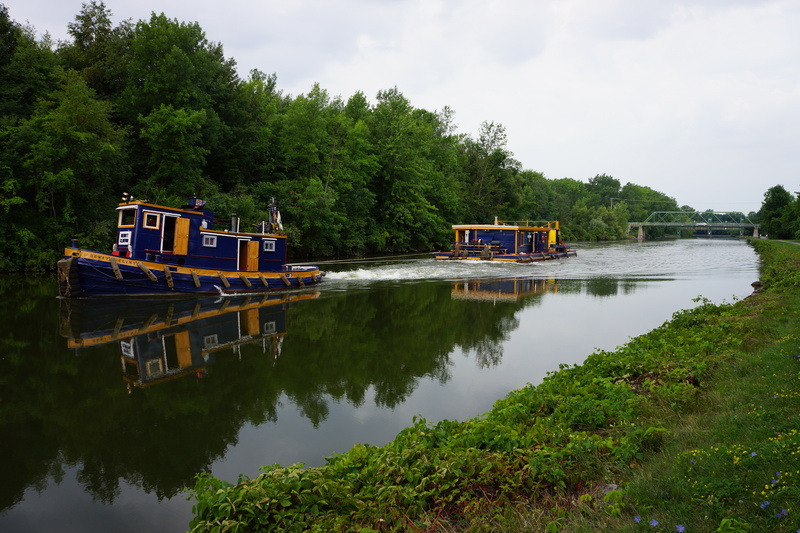 Mile 15: Maintenance boat and barge on the Erie Canal. 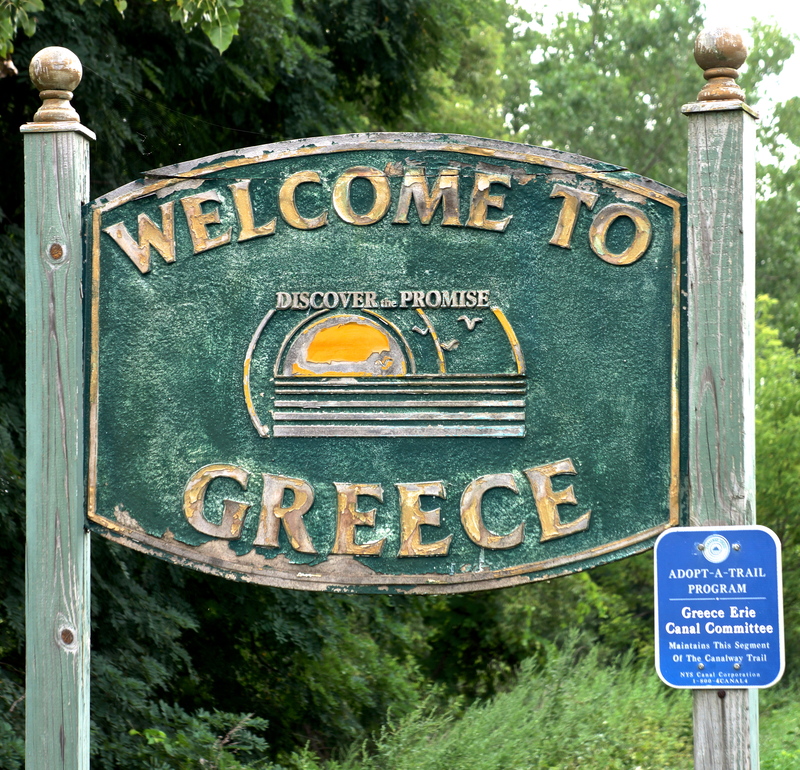 Mile 19: Who know we would be visiting Greece on our tour? Mile 20: A view of the Erie Canalway Trail as we approached Rochester. 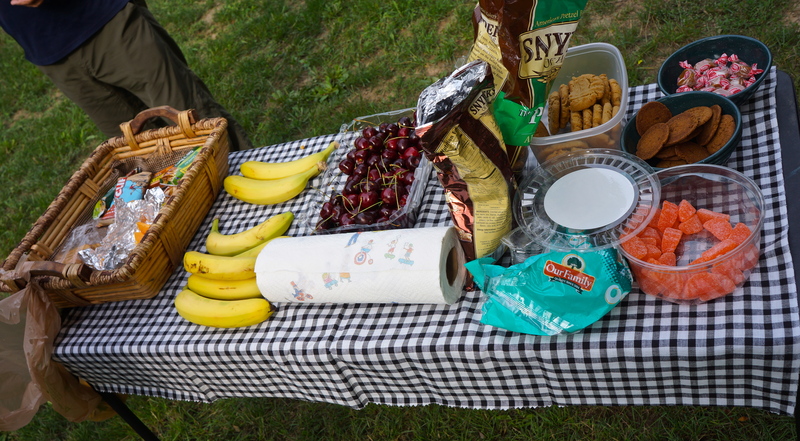 Mile 22: The snacks available to us at the first SAG wagon stop. 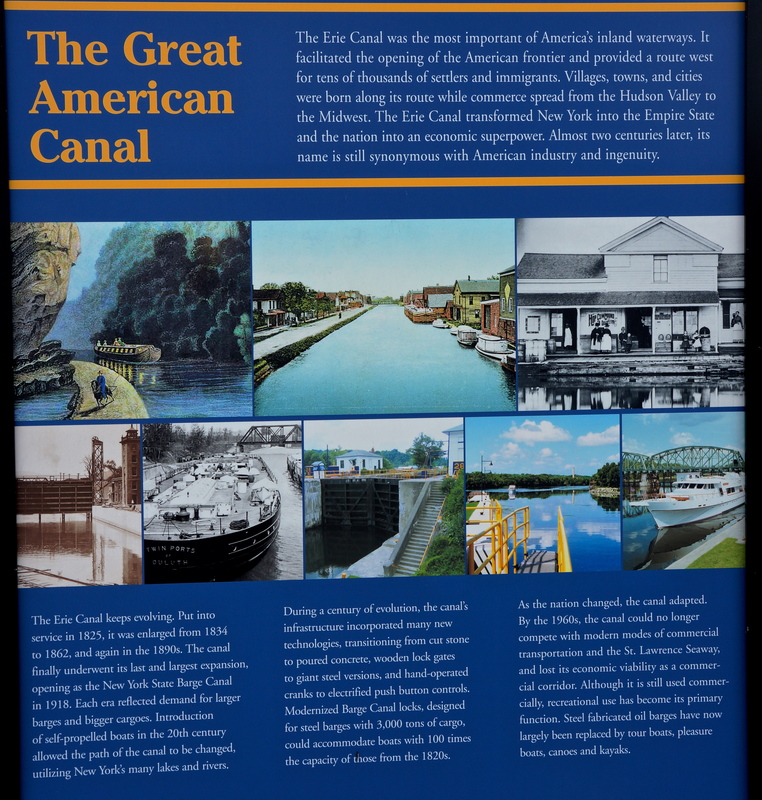 Mile 27: Historical Marker – Erie Canal. 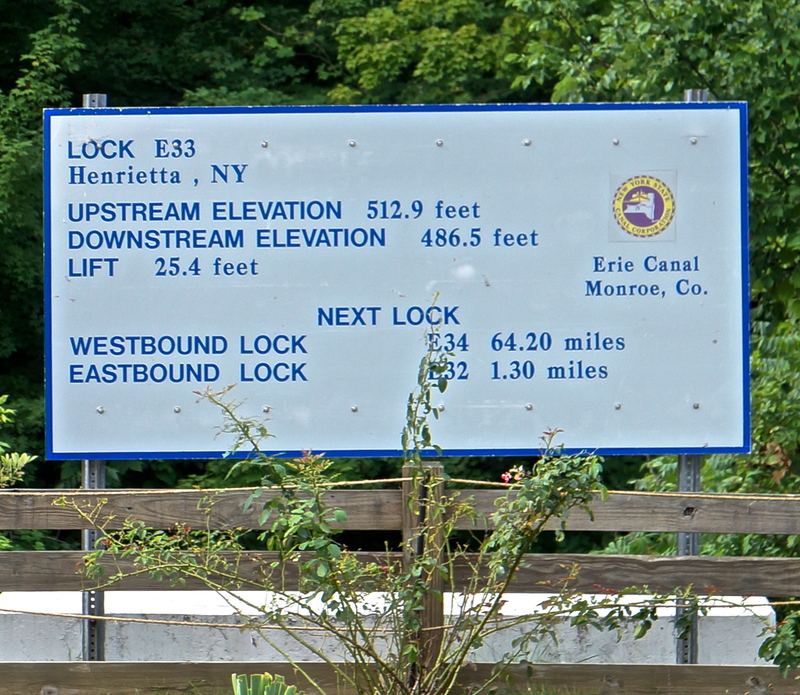 Mile 27: Information marker describing one of the locks on the Erie Canal. 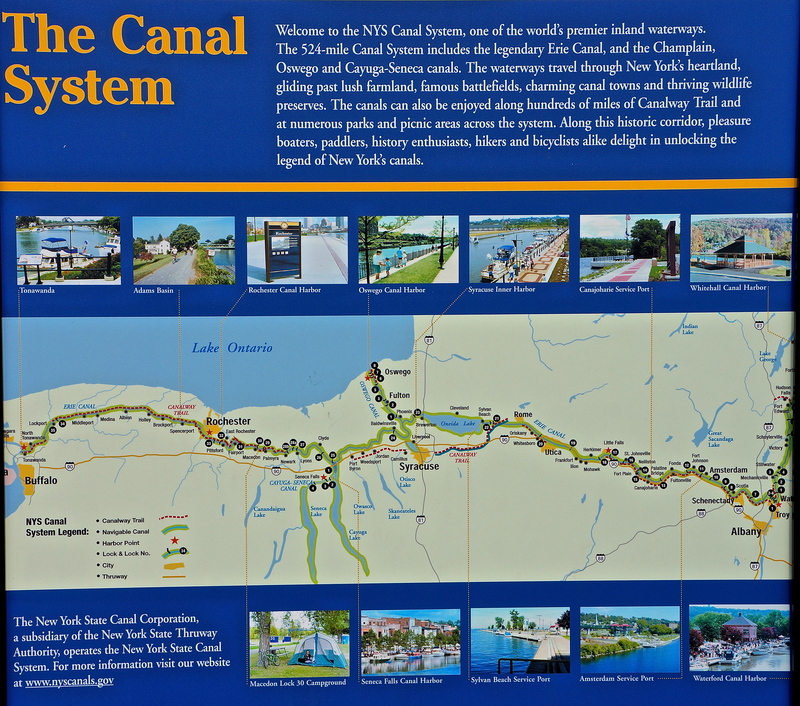 Mile 27: Informational marker about the current Erie Canal. Mile 30: View of a pleasure boat on the Erie Canal. 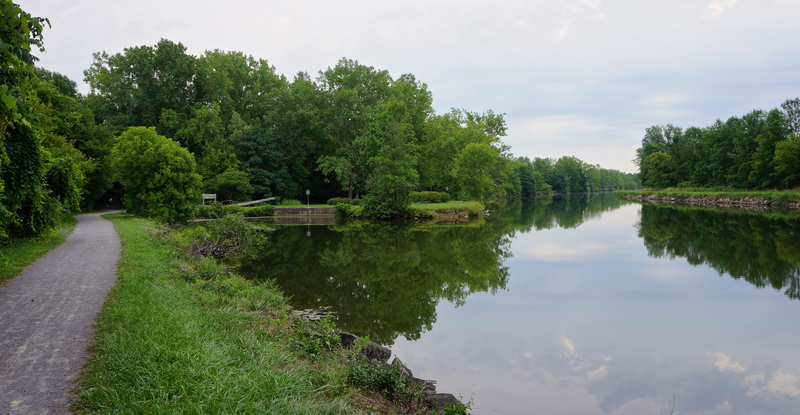 Mile 32: Another view of the Erie Canalway Trail near Pittsford, NY. Mile 45: This photo shows how the Erie Canalway Trail looked as we approached Newark, NY. This entry was posted on August 11, 2012 by Steve. It was filed under Photograph of the Day .